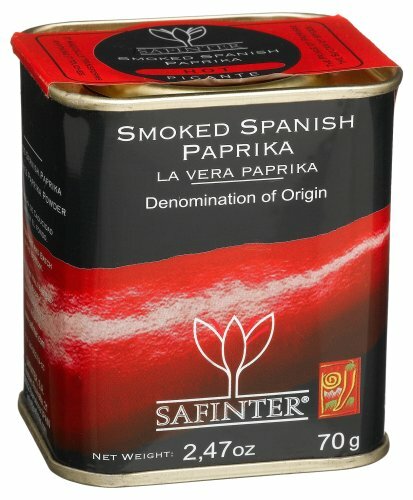 Spanish Smoked Hot Paprika is also known as Pimenton de la Vera, Picante. It is a popular ingredient in many Mediterranean recipes. The hot, smoky flavor is the result of peppers that are dried slowly over an oak burning fire for several weeks. Try it in soups or chorizo. Add it with garlic to mayonnaise, which can then be used as a spread for grilling chicken for fish. Use it on deviled eggs. If you have any questions about this product by Safinter, contact us by completing and submitting the form below. If you are looking for a specif part number, please include it with your message.